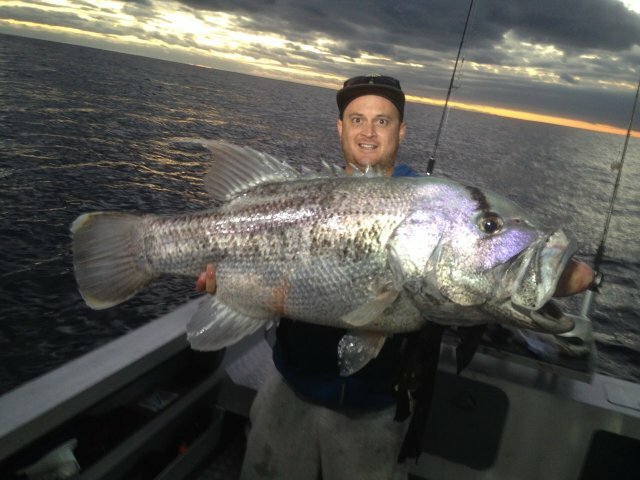 mate, epic catch.. that is a trophy fish for sure..
Great pic and fish! Bait or jig? Not discrediting all the other Dhu catches, somehow this pic sticks out from the rest! Absolute corker of a fish! Straight to the pool room for that pic! I would be presuming bait? Not that it matters all that much, awesome catch no matter how you got it. I agree with scanos comment "straight to the pool room"
Great Catch and a fantastic photo too.